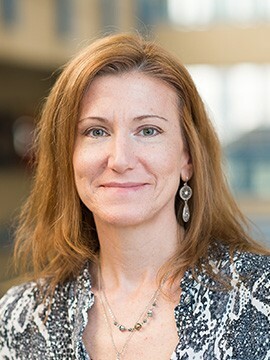 Dr. Susan Birch is part of the Early Development Research Group, a consortium of six research centers interested in the development of language, learning, and social understanding in infants and children. The overarching goal of my research is to more fully understand the development of social perspective taking, or 'theory of mind' broadly construed. I'm interested in perspective-taking abilities across the lifespan. How do we reason about what someone else knows, feels, intends, etc. and how do these abilities impact other aspects of development? One line of research explores limitations in perspective-taking and the factors associated with these limitations (e.g., cognitive biases, source monitoring difficulties). A second line of research focuses on how children's perspective-taking abilities influence what, and how, they learn from others. For example, how do they make inferences about who is a credible, or knowledgeable, source of information? A third line of investigation explores the relationships between different aspects of social perspective taking and social-emotional health and development. Haddock, T., Lau, P., Ghrear, S., & Birch, S. (2017). What happens at home: How family discourse fosters social perspective-taking in children with autism spectrum disorder and typically-developing children, Acta Psychopathologica, 3, 1-8, DOI: 10.4172/2469-6676.100146. Birch, S. A., Brosseau-Liard, P. E., Haddock, T., & Ghrear, S. E. (2017). A ‘curse of knowledge’ in the absence of knowledge? People misattribute fluency when judging how common knowledge is among their peers. Cognition. Pun, A., Birch, S. A., & Baron, A. S. (2017). Foundations of Reasoning About Social Dominance. Child Development Perspectives, 0, 1-6. doi:10.1111/cdep.12235. Birch, S. A. J., Li, V., Haddock, T., Ghrear, S., Brosseau-Liard, P., Baimel, A., Whyte, M. (2017). Perspectives on Perspective Taking: How Children Think About the Minds of Others. In Janette B. Benson, editor: Advances in Child Development and Behavior, Vol 52, UK: Academic Press. pp. 185-226. Kwok, K., Ghrear, S., Li, V., Haddock, T., Coleman, P., Birch, S. (2016). Children can learn new facts equally well from interactive media versus face to face instruction. Frontiers in Psychology. 7, 1603. DOI=10.3389/fpsyg.2016.01603. Chudek, M., Baron, A., Birch, S. (2016). Unselective Overimitators. The evolutionary implications of children's indiscriminate copying of successful and prestigious models. Child Development. 87, 782-794. DOI: 10.1111/cdev.12529. Pun, A., Birch, S., Baron, A. S. (2016). Infants use relative numerical group size to infer social dominance. Proceedings of the National Academy of Sciences. Ghrear, S., Birch, S. A. J. & Bernstein, D. (2016). Outcome knowledge and false belief. Frontiers in Psychology: Cognitive Science, Special Issue on 'When (and how) Theory of Mind is Useful: Evidence from across the lifespan'. doi: 10.3389/fpsyg.2016.00118. Baimel, A., Severson, R. L., Baron, A. S., & Birch, S. A. J. (2015). Enhancing 'theory of mind' through behavioral synchrony. Frontier in Psychology: Cognitive Science Special Topic on 'When (and how) Theory of Mind is Useful: Evidence from across the lifespan'. doi: 10.3389/fpsyq.2015.00870. Cassel, T. G. & Birch, S. A. J. (2014). Comparisons of an open-ended vs. forced-choice 'mind reading' task: implications for measuring perspective-taking and emotion recognition. PLOS One. doi: 10.1371/journal.pone. 0993653. Brosseau-Liard, P., Cassels, T. G., Birch, S. A. J. (2014). You seem certain but you were wrong before: Developmental change in preschoolers' relative trust in accurate versus confident speakers. PLOS One, 9(9):e108308. doi: 10.1371/journal.pone.0108308. Cassels, T. G., Birch, S. A. J. (2014). Outcomes Associated with Psychopathic Traits in a Non-Clincial Sample of Children Ageed 6-13. SOJ Psychology, 1, 1-8. Chudek, M., Brosseau-Liard, P., Birch, S., Henrich, J. (2013). Culture-gene coevolutionary theory and children’s selective social learning. To appear in M. Banaji and S. Gelman (Eds. ), Navigating the Social World: The Early Years. Oxford University Press. Chen, C., Hewitt, P. L., Flett, G. L., Cassels, T. G., Birch, S., & Blasber, J. S. (2012). Insecure attachment, perfectionistic self-presentation, and social disconnection in adolescents. Personality and Individual Differences, 52(8), 936-941. Chudek, M., Heller, S., Birch S., & Henrich, J. (2012). Prestige-biased cultural learning: Bystander's differential attention to potential models influences children's learning. Evolution and Human Behaviour, 33, 46-56. Brosseau-Liard, P.E., & Birch, S. A. J. (2011). Epistemic states and traits: Preschoolers appreciate the differential informativeness of situation-specific and person-specific cues to knowledge. Child Development, 82, 1788-1796. Brosseau-Liard, P. E., & Birch, S. A. J. (2010). I bet you know more and are nicer too!’: What children infer from others’ accuracy. Developmental Science, 13, 772-778. Birch, S. A. J., Akmal, N. & Frampton, K. L. (2010). Two-year-olds are vigilant of others’ nonverbal cues to credibility. Developmental Science, 13, 363-369. Birch, S. A. J., Vauthier, S. A., & Bloom, P. (2008). Three- and four-year-olds spontaneously use others' past performance to guide their learning. Cognition, 107, 1018-1034. Birch, S. A. J. (2005). When knowledge is a curse: Biases in mental state attribution. Current Directions in Psychological Science, 14, 25-29.